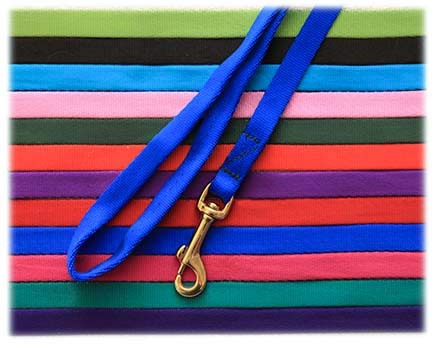 Soft Webbing is soft, strong and color fast – will not damage, cut or discolor neck fur, even when wet. Soft Slip design offers more humane control due to the limited-slip section. This is the classic collar for Samoyeds and all long coated breeds. Quality craftsmanship backed by a limited 100% satisfaction guarantee. All nylon products are machine washable, retaining original brilliant color wash after wash. Made in the USA. Same Soft Web as in our Soft Slip that won’t leave a colored ring on your dog’s neck or wear fur. A convenient side-release buckle makes this buckle collar easy to put on and take off. Quality craftsmanship backed by a limited 100% satisfaction guarantee. 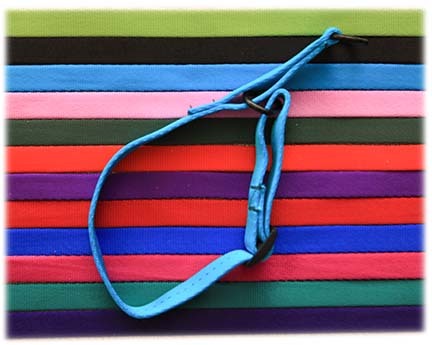 All nylon products are machine washable, retaining original brilliant color wash after wash. Made in the USA. 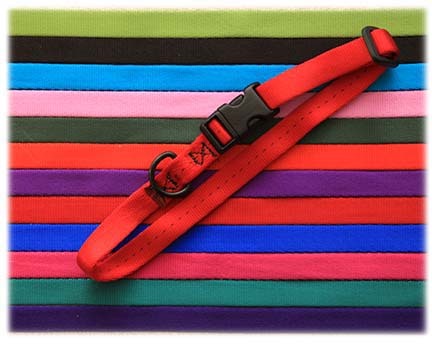 Soft Webbing is soft, strong and color fast – will not damage, cut or discolor neck fur, even when wet. A convenient side-release buckle makes this buckle collar easy to put on and take off. The MINI is perfect for puppies. Use the Small for color marking and the Medium when they go home. Quality craftsmanship backed by a limited 100% satisfaction guarantee. All nylon products are machine washable, retaining original brilliant color wash after wash. Made in the USA. 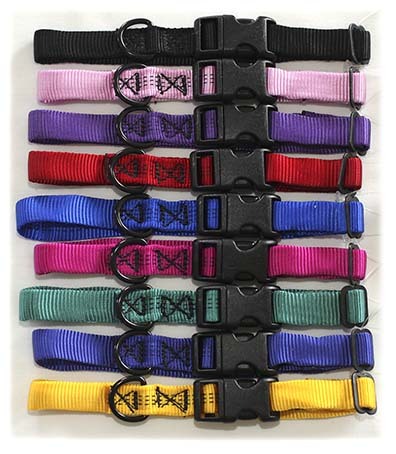 Soft Webbing is soft, strong and color fast. A perfect color match for White Pine Soft Slip and Soft Snap Collars. Quality craftsmanship backed by a limited 100% satisfaction guarantee. All nylon products are machine washable, retaining original brilliant color wash after wash. Made in the USA. *Shipping is $3.50 for orders up to $49.99 – $5.00 for orders over $50. We ship in padded envelopes by First Class Retail Package Mail. Shipping is to U.S. Addresses only. If you are outside the U.S., please ask for shipping costs before ordering. Because of different dye lots, there can be slight variations in color. When an order arrives, we try to acknowledge quickly. If you order before 11 am, our goal is to ship your order the same day. Otherwise it will be on the way the following morning. Rather order by mail and pay with a check? Click Here.